Recently, I was at a highbrow, foodie conference in Austin. While killing time in the lobby between sessions, I noticed that the woman next to me had a Kansas City Barbeque Society sticker on her laptop. That got my attention, because the majority of attendees were…well, unlikely to sport KCBS stickers. I made an innocent comment about it and the woman, in her 50s or so, asked if I was a member. I said no, unfortunately, I’d let my membership lapse. Her: Oh, that’s too bad. Me: What’s your affiliation with KCBS? Her: I’m the executive director. Shortly thereafter, she got up and left as I consoled myself by (silently) disparaging the sugar-sauced up product those KCers push. In other words, I was lamenting a missed opportunity. The lesson here–what’s a little membership-related fib between barbecue brethren? I recently had the pleasure of flying through Memphis and was struck by the emphasis on swine. 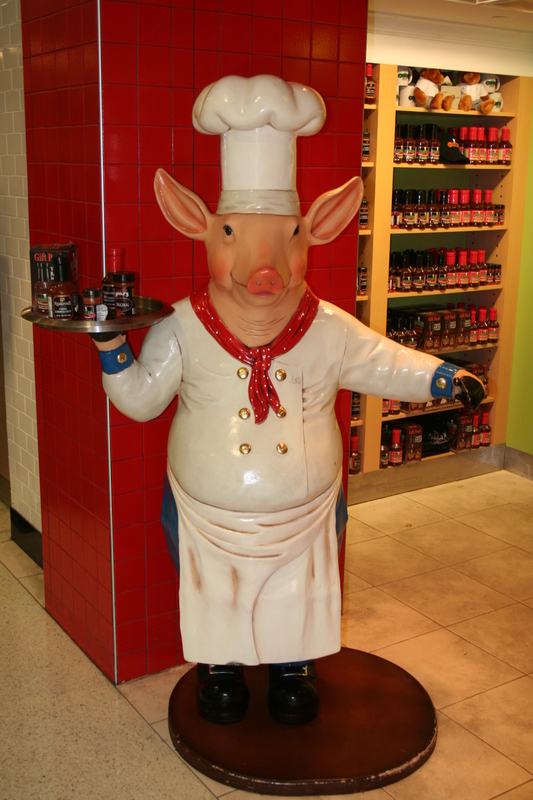 In the one terminal I traversed, there were two barbecue shops (quite crowded at 9 AM I might add) and one porcine deity (see pic below). 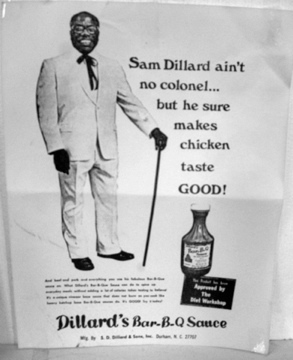 And barbecue isn’t even Memphis’ main thing–a distant third to the music/Beale Street and all things Elvis. Now. Since you’re located in an area with nary a nationally-renowned ‘thing’ (Pharmaceuticals? 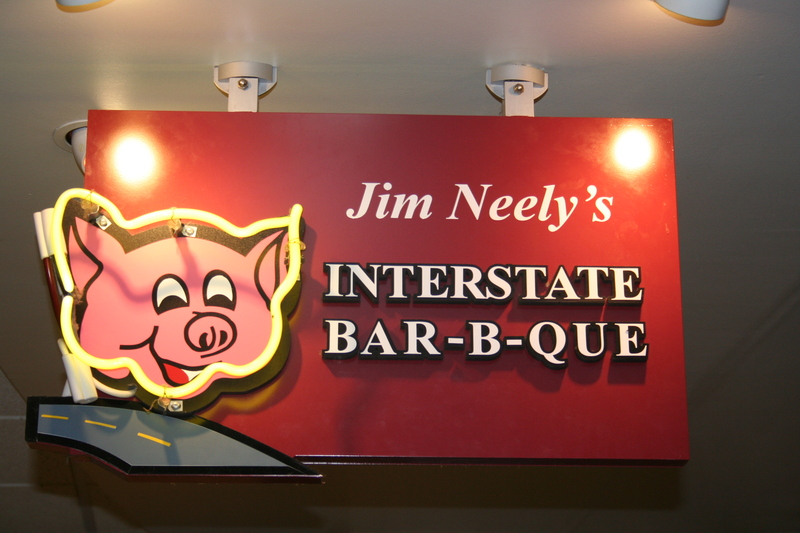 ), RDU, I’d think you would really embrace barbecue. Give me one good reason why there isn’t a mid-terminal pig pickin’ every day. OK, at least a pickin’ outside the terminal to welcome visitors. And why aren’t there smokers in every Park & Ride lot for returning Carolinians. Inside, there should be rival Lexington and Eastern-style shops, hopefully set up on opposite sides of the airport’s midway point. At the very least, RDU, we need one decent swine seller. Instead, you give us the mediocrity that is Brookwood Farms. Now, the eatery’s output ain’t all bad. 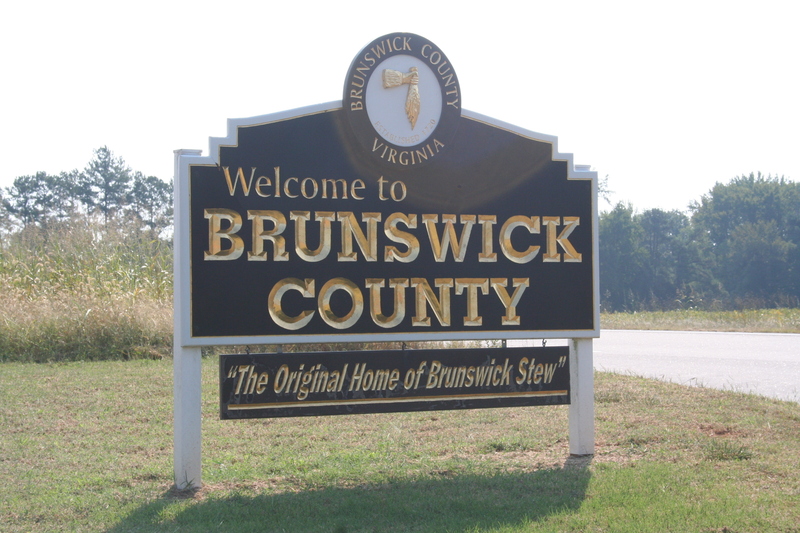 But Brookwood has its place in the world–the supermarket meat section. Sure, getting a barbecue joint that cooks over coals may be difficult, but I’d settle for a well-done gas operation. A place that serves a decent barbecue sandwich (and sweet tea). You can do better, RDU. I know you can. And you have just the opportunity–the entire new half of Terminal 2 will be opening soon. Let’s celebrate that event with a new barbecue restaurant or two and a kick-off pig pickin’. Barbecue Caught in the Crossfire? The NC Pork Council has gone and done a real no-no–they’ve messed with puppies. More specifically, they’ve used their political might to block a bill that would ban “puppy mills” because they oppose its supporters, the Humane Society of the United States. My sources inside the Hog Industry say this is the first in a string of hard lines the group is planning to take–the next being against flowers, babies and ice cream. I’ve spoken with old-timers who swear that the swine tastes different these days because the hogs are different. Not being able to stand up will do that. That’s another part of the barbecue heritage we should strive to protect. In the article’s comments, a few people talked about boycotting pork and one even suggested boycotting barbecue. That’s where this rabbi gets off the train. Don’t punish hard-working restaurateurs for the sins of their suppliers.